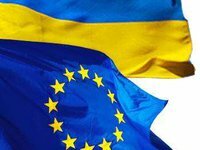 Ukrainian MP Valentyn Landik has proposed that Ukrainian President Viktor Yanukovych postpone the signing of the Association Agreement with the European Union for one year. At a meeting between Yanukovych and representatives of the Ukrainian League of Industrialists and Entrepreneurs and the Federation of Trade Unions of Ukraine on Tuesday, Landik highlighted problems related to goods exports to the Customs Union member states, the presidential press service said. "We are experiencing serious problems with Russia and Kazakhstan, which account for over 50% of our exports," he said, adding that Ukrainian commodities could fail to be competitive after the signing of the Association Agreement with the EU, as in that case Ukrainian exports to the Customs Union could face limitations. "If it is possible, let's put off the signing for one year. You should give us a chance to get prepared, give us a chance to buy equipment. It's not just my big request, it's a big request from industrialists," Landik said. "I've read carefully your letters, appeals, and proposals. I share your concerns about the current situation in the country," Yanukovych said in response. The president said that the situation in the construction sector and mechanical engineering is disturbing. "Some factories are working half-time, wages are decreasing, and there is a risk of job losses," the president said. Yanukovych stressed that such a situation is unacceptable and it requires immediate solutions. "We'll have to be seeking a way out. There are different approaches, there are different proposals," Yanukovych said.